In Japan, on April 8, the "Hana-matsuri" (flower festival) is held in Buddhist temples for celebrating the birthday of Buddha. In the tiny shrine called "Hana-mido" (flower shrine) decorated with beautiful flowers, a small basin, which is called "Kan-butsu-oke" (the tub for bathing Buddha), is filled with "Ama-cha" (sweet hydrangea tea). 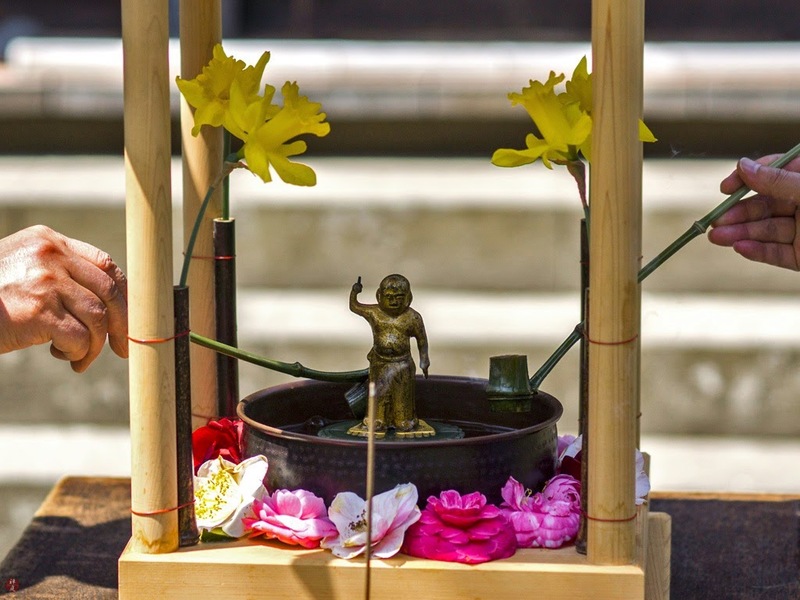 A small image of the newborn Buddha is placed in this basin and, after sutra-chanting, monks and worshipers pour "Ama-cha" tea onto the Buddha's image with a "Hishaku" (scoop) to celebrate his birthday. This ritual of pouring sweet tea is based on the legend that the nine dragons of heaven poured pure rainwater onto the newborn Buddha to bless him. 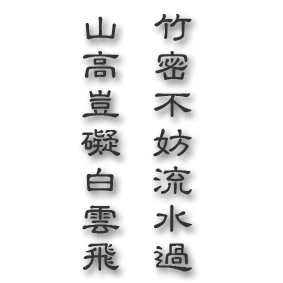 The newborn Buddha is standing in his symbolic pose in which, by pointing his fingers at heaven and earth, he is declaring that he is his own Lord throughout heaven and earth (Tenjyo-tenge-yuigadokuson) .